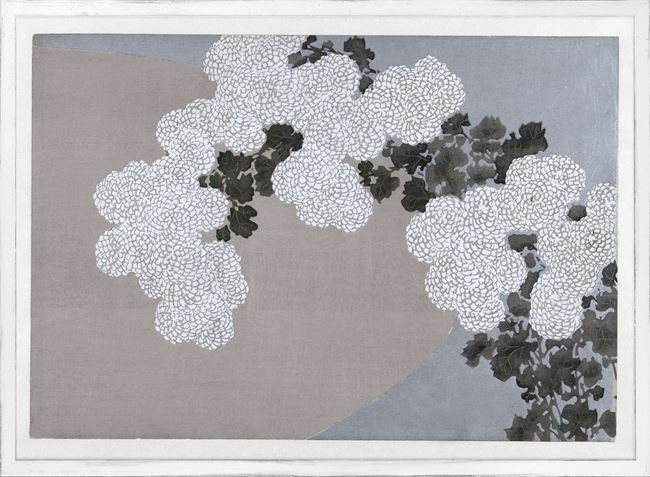 Clean and modern Japanese woodcut prints. 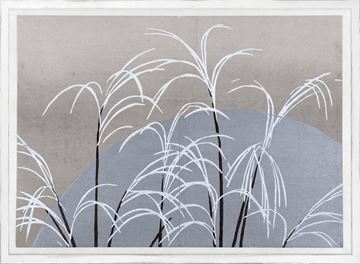 Kamisaka Sekka is a master, 20th century, Japanese painter and printmaker who is considered the father of modern Japanese design. The "Rimpa" tradition, known for it's flattened pictorial spaceis both modern and timeless. Framed in a rustic, cream washed wood for a softened finish.